Style, Space and Serenity live here! Architecturally designed and built to perfection by Prodev Property Group, this stunning property is a very spacious 230m2 of high quality, low maintenance, Dream Home. From the moment visitors pass beyond the oversized, timber and glass door into the wide hallway, enhanced by a beautiful pendant light, it is apparent this home is special. Designed with entertaining in mind the huge combined Kitchen / Dining / Living area is perfectly positioned in the heart of the home. A sliding glass wall allows this space to open up seamlessly integrating the interior with the lovely west facing alfresco, deck and garden. Energy saving downlights in the entertaining area and eaves surrounding the perimeter of the property ensure the enjoyment of the outdoors long after the sun has set. This King size master bedroom is delightful with partial rural views. Boasting a fantastic walk-in-robe equipped with plenty of shelves, hanging rails and drawers. The ensuite exudes quality with floor to ceiling subway tiles, custom made frameless glass shower screens with polished edges, duel waterfall and hand-held shower roses, custom made hanging vanity with soft close drawers, stone benchtop and porcelain sink, frameless polished edge mirror, heat lamps and more. The media room, positioned on the lower level, is a spacious room where the whole family can enjoy a movie or games night together. 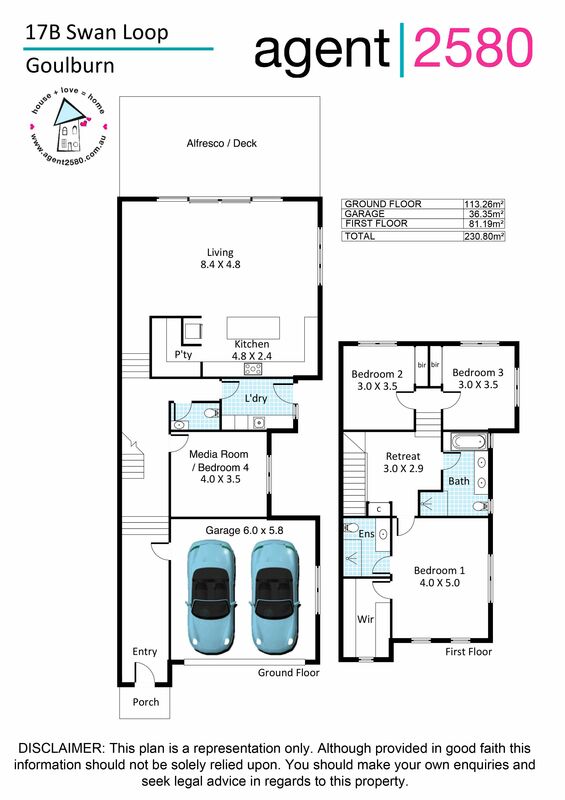 Alternatively, it would make a perfect large 4th bedroom for families that need the extra room. Perfect for guests the downstairs powder room has a lovely feature wall of subway tiles. There is a custom-made vanity with stone benchtop, porcelain sink and mirror to accompany the toilet. Enjoy year-round comfort with energy efficient, zoned ducted heating and cooling plus gas bayonet in living area. CALL TODAY to arrange an inspection of this fantastic property!